CMSWire CMSWire is a leading web publication focused on digital experience strategies, the evolution of the digital workplace and intelligent information management. Our annual DX Summit conference gathers an elite group of digital customer experience leaders for 3 days of education, networking and collaboration in Chicago. Digital Workplace Experience The annual DWX conference in Chicago is the digital workplace deep dive event of the year. Do not miss this chance to explore cutting edge practices and brainstorm with your enterprise peers. 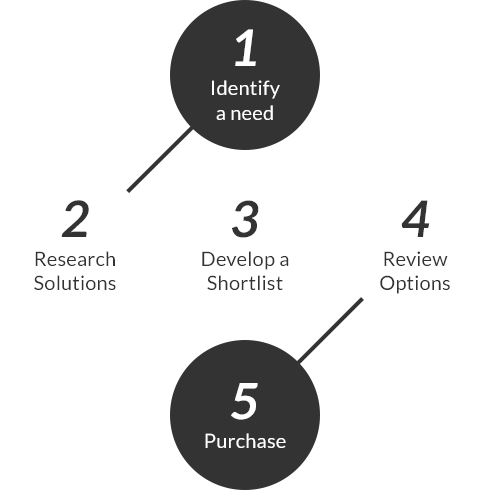 at steps 2, 3 and 4 of the business purchase process.